Anti-piracy action taken by the Premier League could force a change in business model for a 'pirate' IPTV provider supplying content to the UK. A source familiar with the operation says that blocking is causing problems for all of its customers, not just those interested in Premier League matches. This could potentially lead to football being "offloaded" from its service. In March 2017, the Premier League obtained a blocking injunction from the High Court which compelled UK ISPs including BT, Sky, TalkTalk and Virgin Media to block ‘pirate’ streams in real-time. The order, granted under Section 97a of the Copyright, Designs and Patents Act, allowed the Premier League to target illegal streams including those consumed by Kodi users and premium IPTV subscribers. Encouraged by the success of this pioneering action, the football organization obtained a second order in July 2017, one which quickly began causing disruption for unauthorzied providers. This July, the Premier League obtained an extension from the Hight Court and as soon as the new season began, a new wave of blocking was launched. Judging by the number of complaints being aired online, the negative effects of the scheme are widespread. 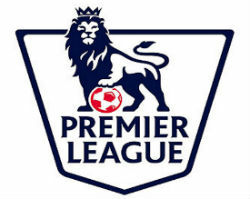 Sources familiar with the IPTV landscape inform TF that the Premier League and its anti-piracy partners wasted no time, with stream interference reported within minutes of the opening match of the season getting underway. The problems are persisting too, with IPTV providers previously unaffected by the measures now being blocked by UK-based ISPs. The solution to most of these problems is for IPTV subscribers to get themselves a VPN, which hides their traffic from their ISPs and bypasses all of the Premier League’s blocking measures. However, this is not always as straightforward as one might think. While experienced torrent and streaming site users are familiar with VPNs, it appears that large numbers of more casual fans “who just want to watch the footy” are struggling with the learning curve. We’re told that huge numbers of blocked users are filing support tickets with providers when streams go off, only to balk at the notion of buying another service (a VPN) on top of their IPTV subscription. For those prepared to fork out a bit more cash, the VPN solution is just a few minutes away. However, it seems clear that large numbers of people don’t really understand VPNs and don’t know how to set them up, particularly those trying to watch on set-top devices that require much more effort to configure than a desktop PC, mobile phone, or tablet. Also causing problems is the decision by some IPTV providers not to enable VPN access to their service by default. Although their customers are being blocked from accessing their service in the UK, some still refuse to allow VPN access, until the customer opens a support ticket asking for it. This is causing frustration. All that being said, some IPTV providers are finding ways to avoid the measures. None wish to speak about them publicly but there appears to be a mix of technical solutions combined with the ability to remain under the radar. Perhaps one of the most interesting aspects to the disruption is how widespread it is, considering how targeted it’s supposed to be. The Premier League’s action is supposedly designed to prevent unauthorized streams of Premier League copyrighted content, i.e football matches, reaching the public. However, it is crystal clear that it is actually blocking all or most streams of the services it targets, meaning that people who use IPTV services to watch any other content are being affected as well. A source with experience of this problem told us that discussions aimed at countering the blocks are always taking place but there is a growing feeling that Premier League content is a golden goose drinking from a poisoned chalice. Football is some of the most popular content on IPTV services as far as UK subscribers are concerned but transmitting it ensures that all of a provider’s content gets blocked, something which upsets all users, no matter what they’re watching. This situation has prompted at least one supplier to consider moving away from Premier League matches in order to safeguard the rest of its service. While this will definitely be bad for business short term, we’re told that extra effort could be put into trying to attract more customers from outside the UK, since they’re less likely to be buying the service with the primary aim of watching Premiership football. Another option is to segregate football content “in other ways” but TF’s questions on what that might mean went unanswered. Whatever the outcome, it seems clear that as planned, the Premier League is having an overall negative effect on the illegal streaming market. Of course, that only happens when live football is underway, which may be a sacrifice some providers and subscribers will be prepared to endure. Nevertheless, providing and streaming live football is not the cakewalk it once was.